Hi All-Sorry I haven’t been blogging much. November has been a crazy month comprising of Graduation, being Called to the Bar of England and Wales and moving house. Busy busy! Despite this month being full of changes I have still managed to put some thought towards wedding planning. As you’ll have seen from my venue reviews, I have been struggling to find my dream venue. There always seems to be a compromise- no exclusivity, late licence only til 11.30, venue being too small. It’s been tedious but I am determined to get what I want. I knew what I wanted but because I couldn’t really explain what I wanted it’s been impossible to find it. Until now. Armed with my prized photo I’ve been trawling the internet to find a venue that could match my vision. And I may have found it! Speaking with other brides, this seems to be the best way forward. Find pictures of what you want: venue, table dressings, flowers, bridesmaid dresses. Once you know this is what you want for your day, stick to it. Do not be swayed. Compromises aren’t the end of the world but try not to give in too easily. 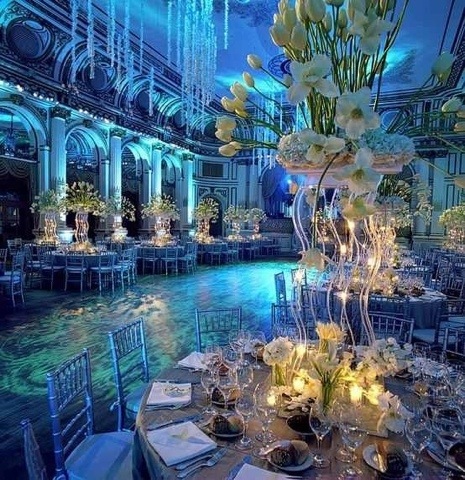 That’s a beautiful photo, I would love to see what your venue looks like good luck!